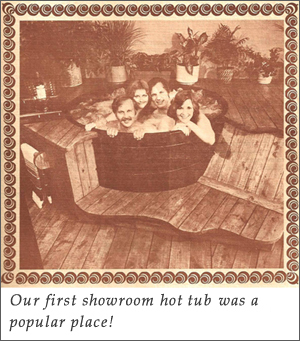 When portable fiberglass hot tubs were introduced, Great Atlantic Hot Tubs, Pools & Saunas partnered with Watkins Manufacturing to sell their line of Hot Spring Spas. Since that affiliation in 1982, Hot Spring has become the world’s leading spa brand and Great Atlantic one of its oldest, largest and most award winning dealers. 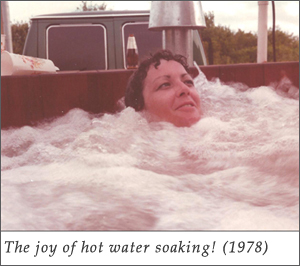 Before 1978, if you tried to buy a hot tub in southeastern Virginia or anywhere on the East Coast for that matter, you were out of luck. 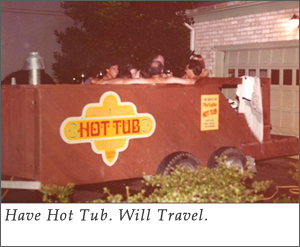 Believing in the benefits of hot water soaking after their first exposure to hot tubs on the west coast, Rich Werber and partner Steve Biggs took the plunge by establishing the Great Atlantic Shoppe in Virginia Beach in May of 1978. 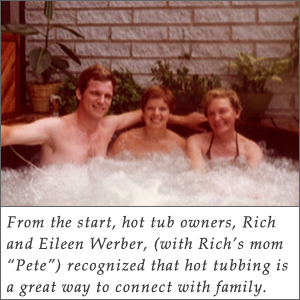 Handcrafted, the area’s first hot tubs were built locally from vertical grain redwood and then were assembled and installed by Rich and Steve. Along the way they taught the local community about the wellness benefits of hot water soaking. Theirs was a labor of love that has continued to this day, 40 years later. Over the years, Great Atlantic’s product offerings have expanded to provide our customers a full range of wellness and leisure products including Hot Tubs, Finnleo Saunas, Endless Pools Fitness Systems, Saber Grills and Infinity Massage Chairs. Today, Great Atlantic serves customers in southeastern Virginia and the Eastern Shore of Virginia, Virginia’s Northern Neck as well as Northeastern North Carolina. The company has 3 retail locations in Virginia Beach, Yorktown and the Outer Banks. In addition, through our partnership with the Navy and Coast Guard, Great Atlantic’s Hot Tubs, Swim Spas and Saunas are now available for purchase to members of the Military and the Department of Defense at local area Navy Exchanges (Oceana, Little Creek, NOB-Norfolk, Portsmouth, Yorktown ) as well as the Coast Guard Exchange (Greenbrier-Chesapeake and Elizabeth City). We are proud to support the Military MWR communities. 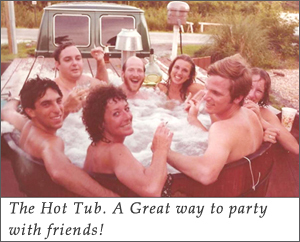 To coin an old phrase, at Great Atlantic Hot Tubs, Pools & Saunas, the “Customer is King”. Truly. We’re not just saying that. Why? Because we are committed and determined to ensure that every encounter and experience you have with us leaves a lasting positive memory. We are always here for you and if you have a question or concern, we’re here. If you need service on a Great Atlantic product, we’re on it. If, in the moment we don’t have the answer or the solution, we’ll get it and in the most timely manner possible. From our service delivery staff to the staff at each of our store locations, to the owners of Great Atlantic – we’re committed to ensuring that your shopping experience and beyond is met with professionalism and a “can do” service-attitude. We promise a smooth and pleasant purchase and installation experience – regardless of whether you are purchasing a spa, a sauna or a swim spa. We operate from the perspective of what it is like to be a customer. After all, we’re customers too and know what it is like to make this kind of a purchase. It is a top priority that you have a good experience before, during, after. “Customers for Life” is not just a slogan at Great Atlantic. We mean it. Scroll through images from our beginnings!